The Aldi store in Ramsgate could relocate to the former gas works site in Boundary Road. The store has traded from its current site opposite the gas works for the last 20 years but bosses say a move would mean the chance to increase the size of the shop and provide more parking spaces. Currently the store has 1,20acres and wants that to increase to 1.70 acres. Parking spaces would go up from 70 to 118. 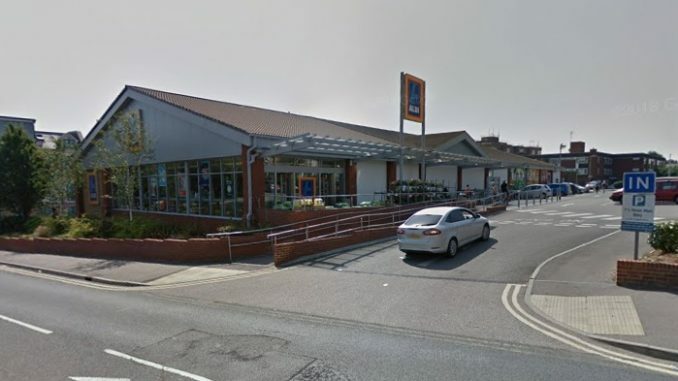 Aldi is asking for customer views on the proposal before submitting a planning application to Thanet council for the proposals. Residents can give their views by emailing aldiRamsgate@planningpotential.co.uk or calling 020 7357 8000. The gasworks were built in 1824 and had six gasholders. 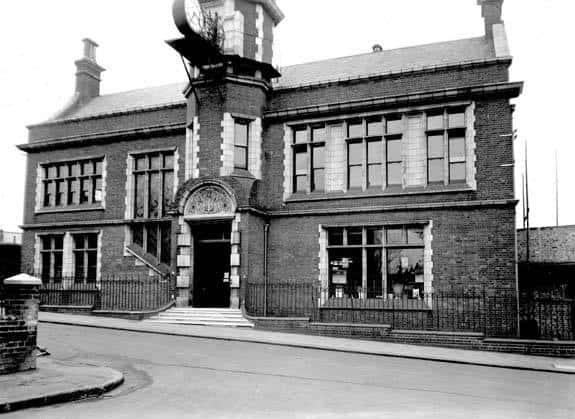 Originally it was on the other side of Boundary Road, where Aldi now is, then operated on both sides before being completely moved to the site were the red brick office and clock still stands. It was taken on by the Local Board in 1877.The local Board and later Ramsgate Corporation ran the site until 1949. On nationalisation in 1949 the undertaking became part of the Thanet Group of the Kent County Division of SEGB. Gas manufacture ceased at Ramsgate works in 1958 and the site became a holder station. 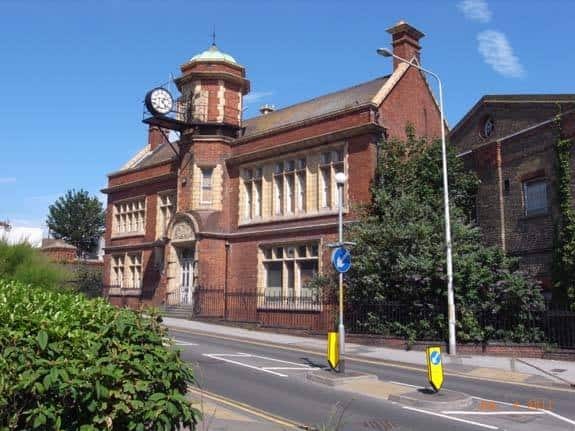 The offices, railed area, depot, adjoining walls and gate for the gasworks in Boundary Road are grade II listed. During World War One, in November 1917, two bombs hit the gas works, falling between the gas holders and the rear of the office. The site was bombed again during World War Two, in August 1940, when eight members of staff were lucky enough to survive after taking refuge in an Anderson shelter at the rear of the offices. In 2007 and application was made to create 96 homes on the site. Some decontamination work took place but then stopped. Demolition and remediation works then took place in 2010 but the site remained undeveloped. It is listed in Thanet’s Draft Local Plan – outlining development plans up until 2031 -for the 96 homes. Great idea, nothing worse than seeing a lovely building boarded up. Who currently owns the site? With planning for all those houses it must be worth a lot of money. 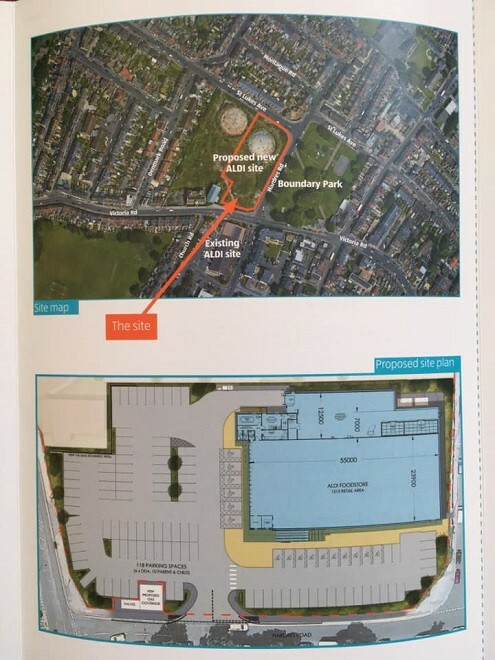 The leaflet we got through the door indicates that the wall along Hardres Road, by the side of the Recreation Ground, will be demolished, leaving local residents with a permanent view of a large car park- always an ugly thing- and illuminated till late at night, I should think. Aldi will not be using the old gasworks building. If Aldi don’t change their current plan by retaining the old wall (or building a replica if it’s in too bad a condition) then people living near the Rec will find themselves in what will look and feel like an offshoot of Westwood Cross rather than a basically Edwardian bit of Ramsgate. Currently the site looks as if the Luftwaffe have just finished bombing it, so this has to be an improvement! ALDI are hard nosed business people, so making this decision won’t have been made lightly. The boundary wall would have been a great example of monumental brickwork, and worthy of preservation, but it has been poorly maintained, and repaired, so it should go! I see one half of the site may be for housing, but its not clear. If so then this will be costly remediation, which may make any housing financially unviable, unless they are offered to the council at cost as social housing? I and many others living nearby hope it will not – unless the plans are changed so that we do not have to see a large ugly carpark whenever we’re out and about in the new Aldi’s vicinity.